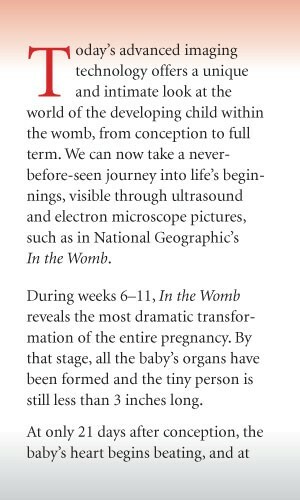 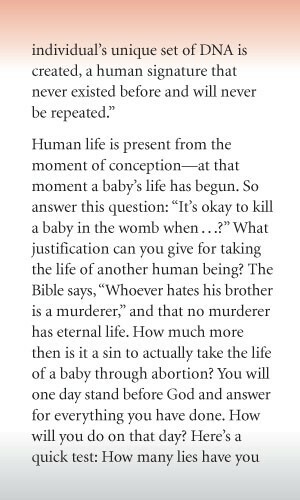 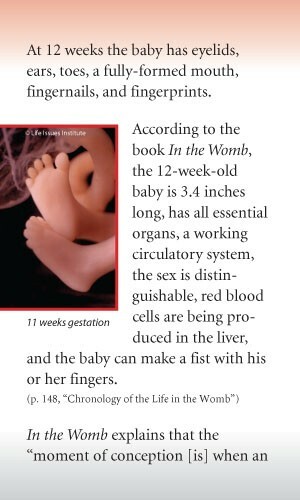 Life in the Womb presents the facts of fetal development from a secular source, which the lost may find more credible than a typical pro-life source. 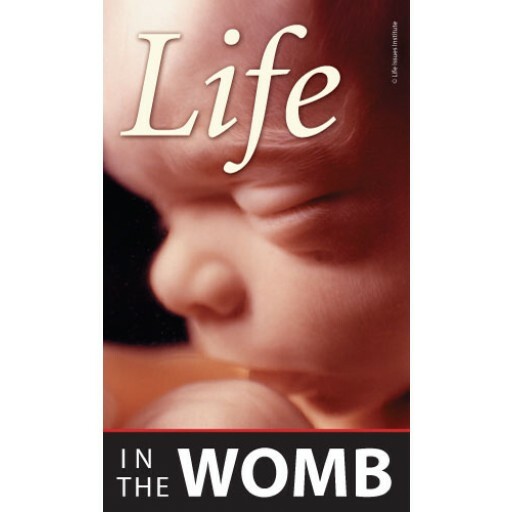 Life in the Womb presents the facts of fetal development from a secular source, which the lost may find more credible than a typical pro-life source. 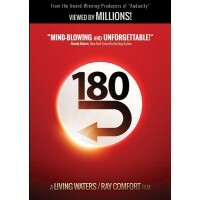 The tract includes the gospel, a QR code to 180movie.com (so readers can immediately view it on their smart phones), and testimonies of pregnant women who changed their minds after viewing "180." 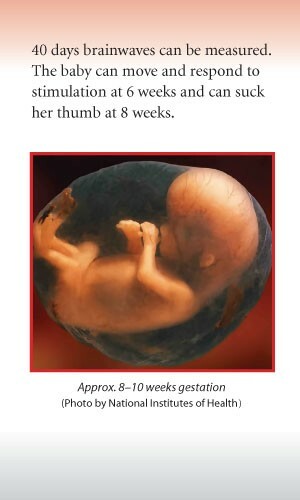 Great tract with pictures of children while in the womb. 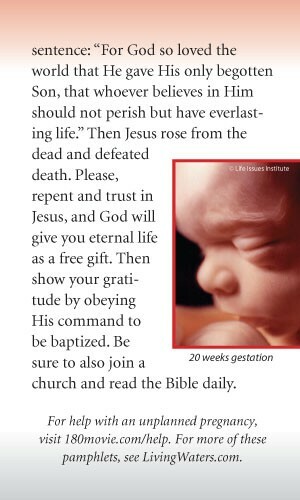 We pass these along to a local “Pro Life” clinic. 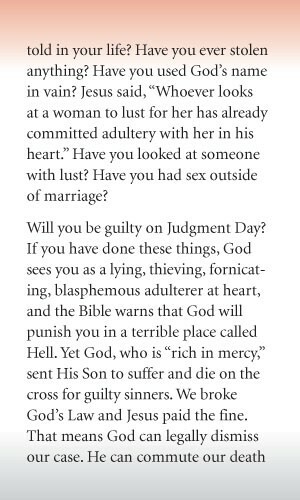 Solid Savational message on the last 3 pages. 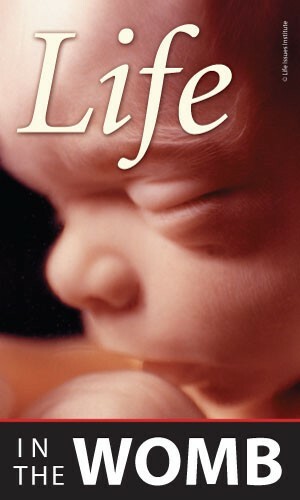 It has a mention on the back of the pamphlet of the 180movie.com com site, encouraging those considering an abortion to watch it online before any decisions are made.